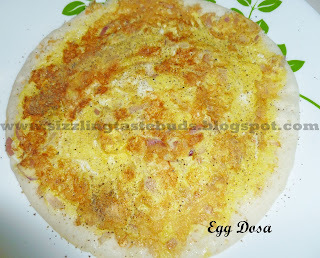 Coming up with another South Indian recipe, Egg Dosa. This is another simple twist to the normal Dosa. I prepare this usually when I don't have any side dish ready for the dosa or when bored with having dosa's with chutney's. You can use the left over dosa batter too. 1. Beat 2 eggs in a bowl and add salt and chopped onions to it. Mix well. 2. Spread the dosa batter on the tava as you usually do. 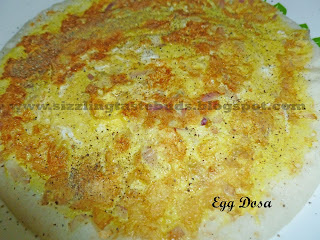 Add a spoon or 2 egg mixture on top of the dosa and spread it over it with a spoon. 3. Flip the dosa and cook on other side too. 4. Shift it to the plate and sprinkle some pepper powder on top of the dosa. 5. 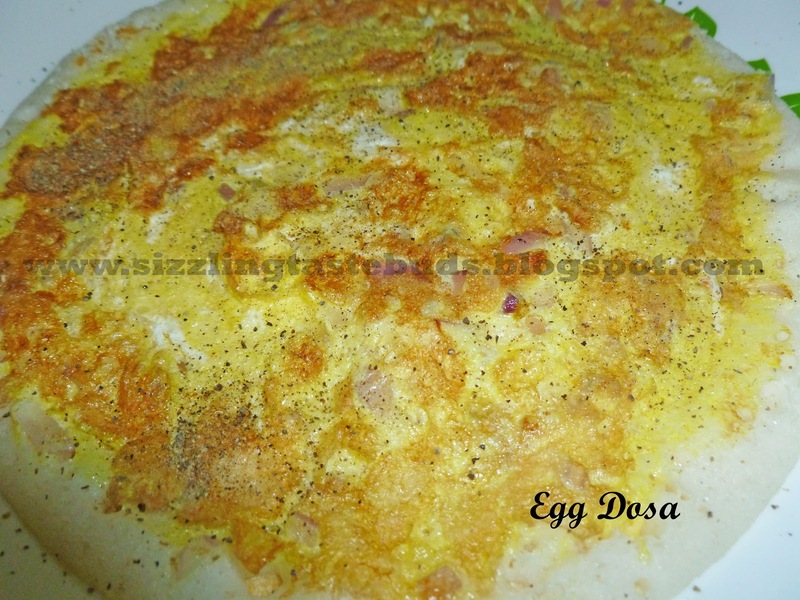 Yummy and Tasty Egg Dosa is ready to serve. Do try this simple receipe and let me know how it tasted.